Michelangelo Rossi lived from 1601 to 1656, and during his life held several important posts as court composer and musician (Rome, Modena). 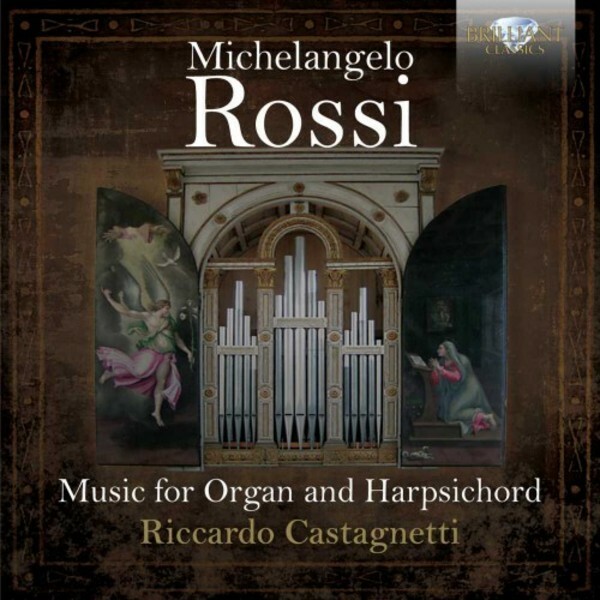 Rossi�s 'Toccate e correnti d�intavolaturad�organo e cimbalo' is his only published work, an important opus in the Italian keyboard tradition of Frescobaldi and others. In his work Rossi was influenced by the great madrigal composers Sigismondo d�India and notably Gesualdo. The latter�s style may be traced in Rossi�s unexpected harmonic turns, expressive chromatism and abrupt changes of texture and mood. Riccardo Castagnetti, a noted scholar and musician, plays on the 1565 Antegnati organ of the Basilica of Santa Barbara in Mantua, and on a Vanini harpsichord, a copy after a Grimaldi of 1697.